Employees who take a lunch break feel 40% more engaged and 40% more creative than people who spend their lunch hours working. 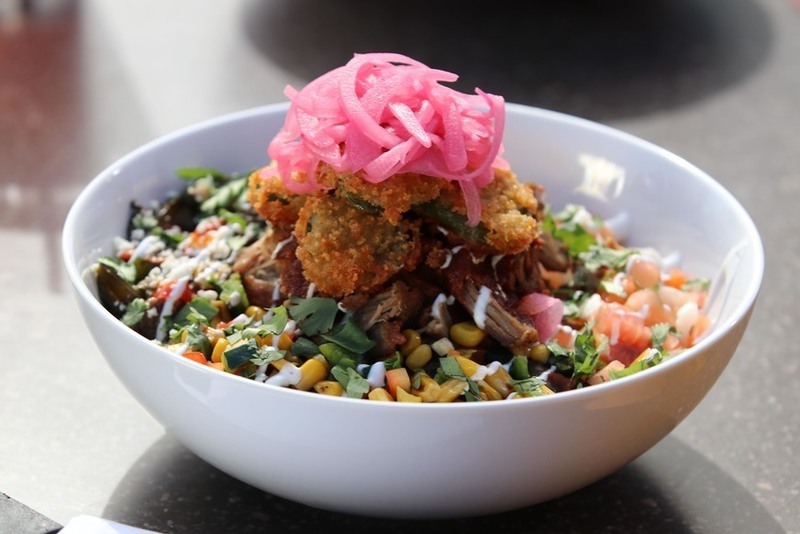 Savory braised pork, spicy red chili sauce, cilantro rice, black beans, roasted corn pico, queso fresco, sautéed peppers, mushrooms, onions, topped with fried jalapeño slices, a lime crema drizzle and pickled onions. 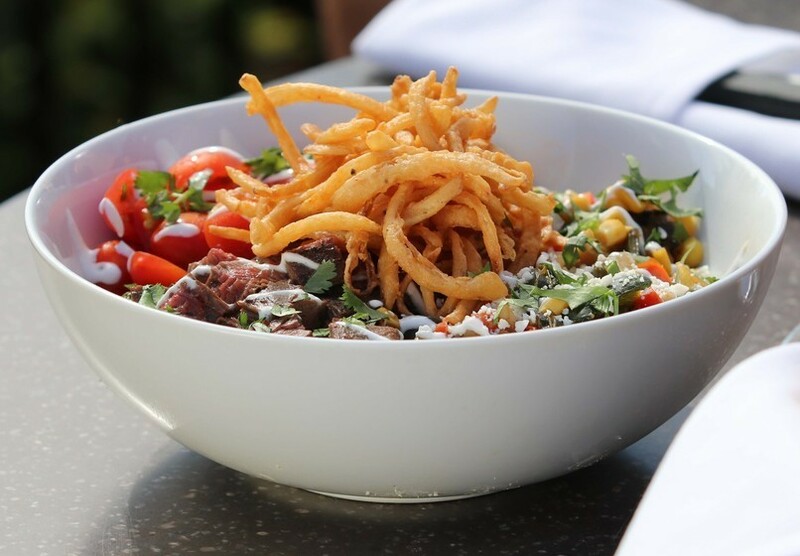 Mesquite grilled skirt steak with cilantro rice, roasted corn pico, black beans, sautéed peppers, mushrooms, onions, queso fresco, topped with tumbleweed onions and a lime crema drizzle. 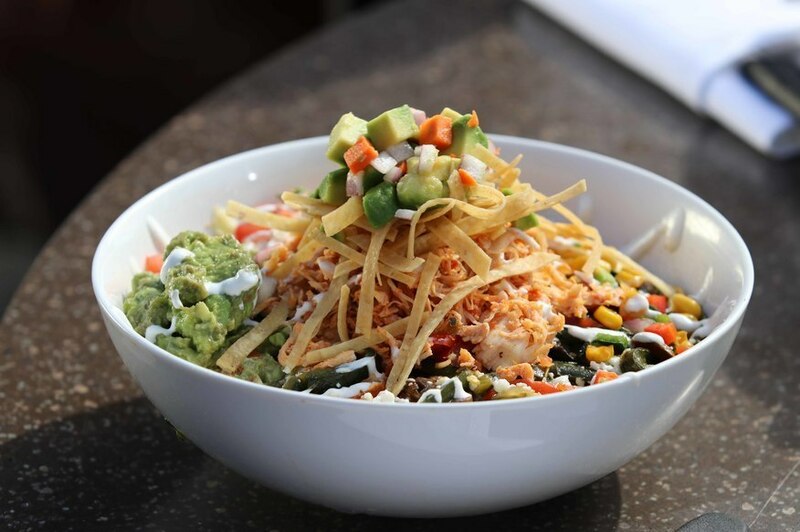 Mesquite grilled shrimp with cilantro rice, peppers, mushrooms, onions and roasted corn pico, a lime crema drizzle and sliced avocado. 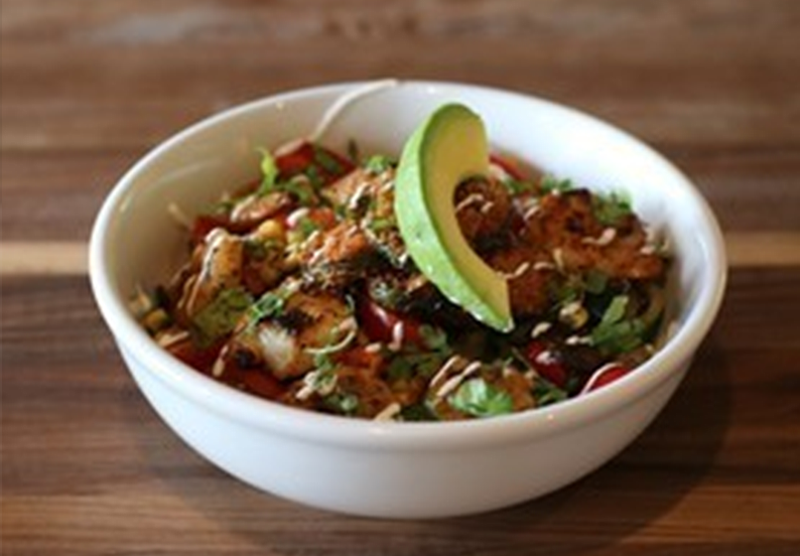 Want Free Guacamole with your Lunch Burrito Bowl?